Final Fantasy XIV: A Realm Reborn will undergo an all World maintenance from 5 pm PDT September 11 to 3 am PDT September 12. During the maintenance new content will be added as well as enhancements to the Duty Finder’s performance and several confirmed issues will be addressed. Clients will update automatically after the completion of the maintenance. Due to the inevitable login rush after the maintenance, you may experience a Full World, or 1017, error. If you are anything like me, then the process of creating a character for any MMO is time spent lavishing on every little detail. To make sure I’ve seen all the options available, at least twice, before deciding on the perfect hair and make-up combo for my virtual creation. I can spend hours creating a character if the character creation tool is detailed enough. All the while the desire to actually start playing the game is ever-present, like a tiny voice screaming “JUST GET IN THE GAME!!!”. Well Final Fantasy XIV has the solution. 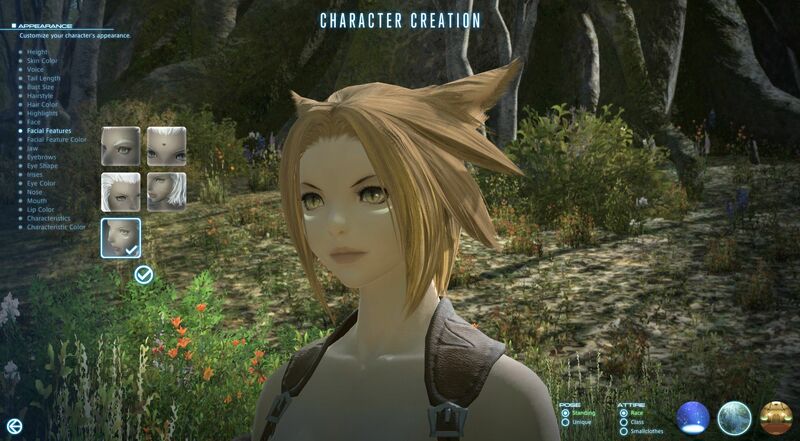 As of today you can download the character creator from the official FFXIV ARR site. Now you can spent as much time as you like, creating your perfect avatar for your adventures in Eorzea. But what will happen at launch? Not to worry, the creator will save your character so when A Realm Reborn is launched, you’ll be ready to go. And the best part is that the character creator is also a benchmark tool. You will be able to see if your current PC has the power to handle ARR or if its time to run out and pick up that upgrade before launch.